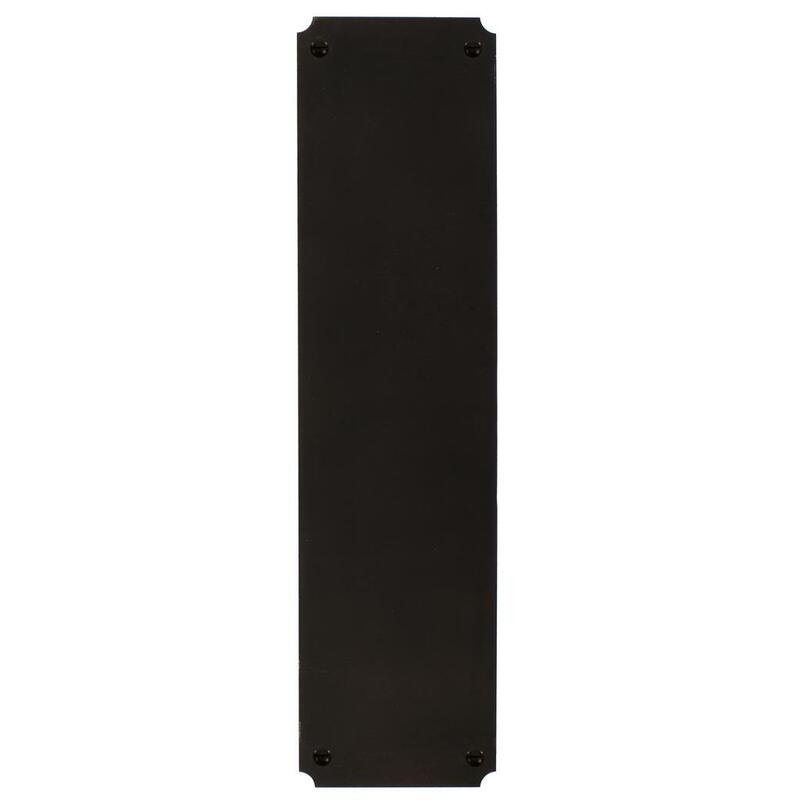 A classic rectangular finger plate featuring attractive corner notches from our range of beeswax door and window furniture. All our wrought iron look door furniture has a quality and finesse that can only be achieved when they are hand made by the best craftsmen so that even the simplest piece is elevated above the rest. Shown here in our popular beeswax finish, the plate is hand forged in solid steel and finished in a blacksmithing technique used since Tudor times. The metal is first heated until it darkens and then dipped in natural beeswax which gives it a lovely soft black wrought iron effect that looks fabulous in any traditional or contemporary interior. 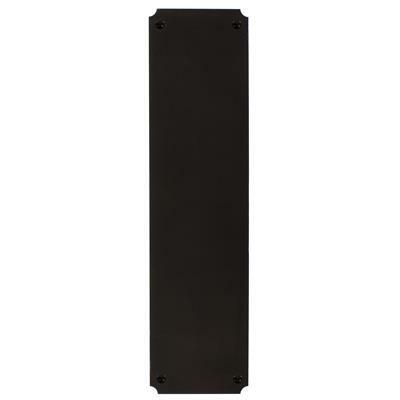 The Corner Notch Finger Plate is 29cm high x 7.5cm wide and is also available in matt black and polished lacquer or in a solid brass version in antique and polished brass. Kindly note, we do not recommend the beeswax finish for bathrooms or outdoor use as it will rust in a humid environment. We feel that Matt Black is the preferable option.